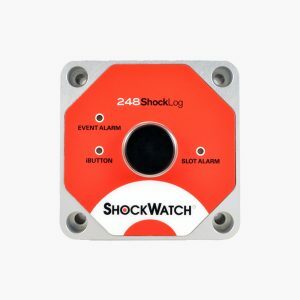 The ShockLog Satellite (previously ShockTrak) is an impact tracker and recording system utilising the ShockLog 298 impact recorder and a satellite communication module. This advanced shock and vibration recorder, logs in real-time and reports directly to a web-hosted application with asset location. 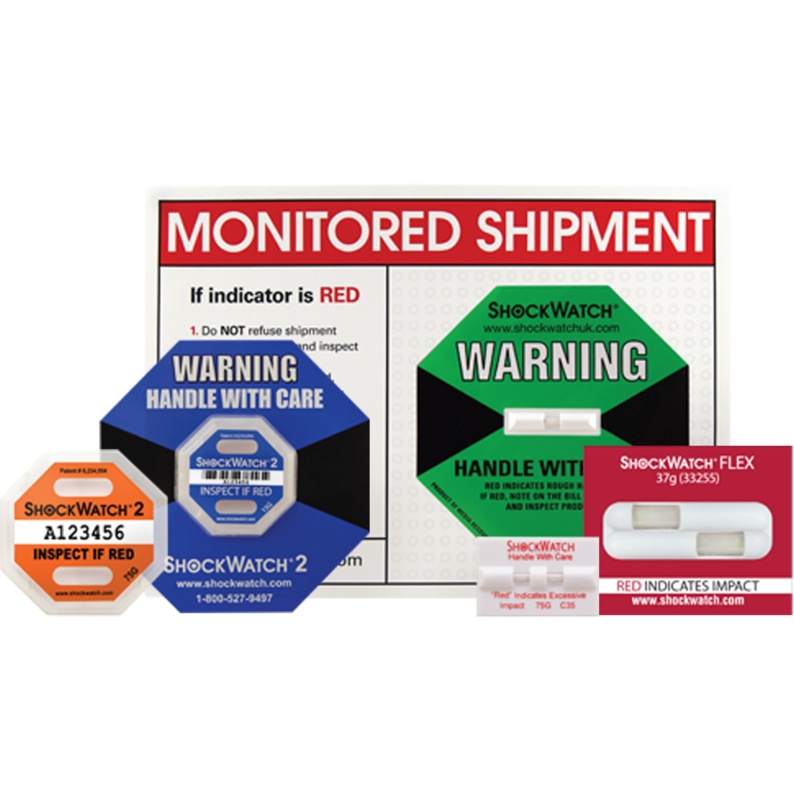 The ShockLog Satellite impact tracker assists users by monitoring and reporting on impact events, vibration and internal temperature as well as peak value (time slot) and summary period journey profile data. An asset can be tracked at every step of the journey as the ShockLog Satellite utilises a satellite network and web-hosted software is used to access tracking data from the ShockLog Satellite. Assets can be viewed as a group or can be filtered down to individual units. Real-time email or text alerts are sent detailing where and when a potentially damaging impact has occurred which may affect the products performance or safety. Asset locations are sent every four hours. The benefit of tracking an asset can ensure that immediate action can be taken before the shipment is received. During the journey, the ShockLog Satellite utilises a satellite network to alert you when a potentially damaging impact has occurred. 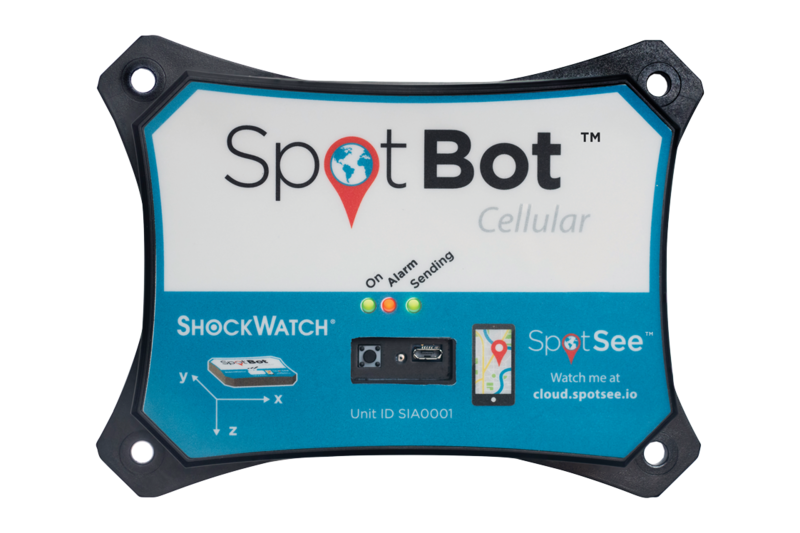 With the web-hosted software, you can access tracking data from the ShockLog Satellite. Assets can be viewed as a group or can be filtered down to individual units. Unacceptable event conditions are reported in real time via email, text or audible application alerts. Asset location reports are sent every four hours. 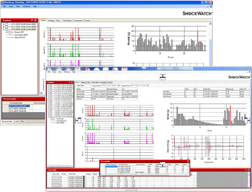 When the journey has concluded, the ShockLog 298 allows you to download and analyse the full data set. The ShockLog Report View provides an overview of the entire journey: peak acceleration values for all three axes reported on a time basis as well detailed impact curves. Zoom in for a closer view, or export data into programs such as Excel and Matlab for more detailed analysis. 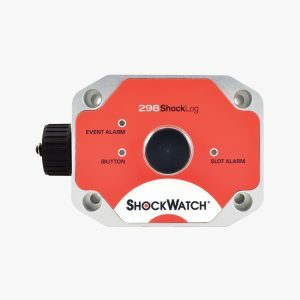 ShockLog Satellite-1 ShockLog Satellite Impact Recording and Tracking System – Includes ShockLog 298A and 6-month connectivity contract. Configuration 1 – 300,000 to 500,000 lbs. XYZ +temp. 3-month journey. The unit shall remain operational over the -40°C to +85°C range, though may experience battery life and RF signal degradation.